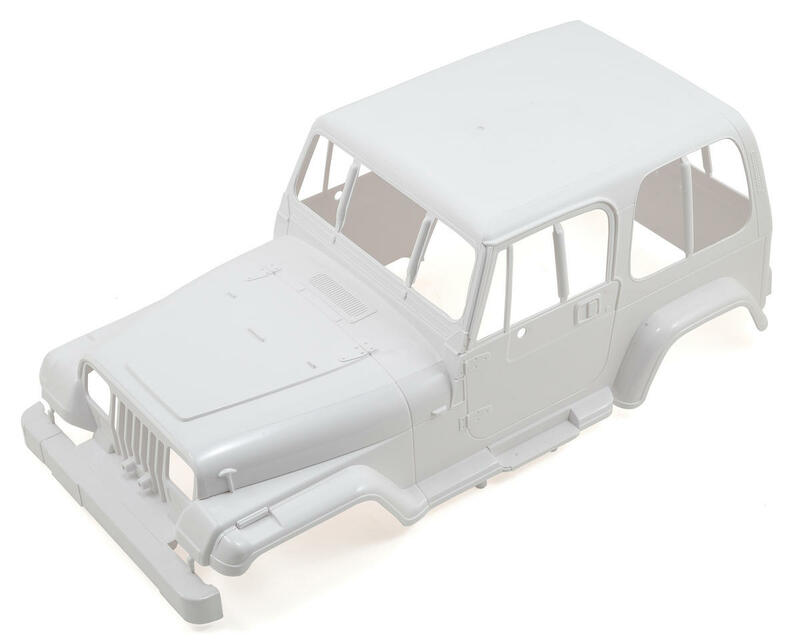 This is the Tamiya Jeep Wrangler Body. This is one of the most popular scaler bodies on the market for a reason. Tamiya has created a perfect replica of the Jeep Wrangler that will give your short wheelbase 1.9 rig the classic look that made the Wrangler famous. If you are a Jeep fan, this body is a must have! NOTE: This is the body shell only. Wheel base measures 9.5" from wheel well center to center.